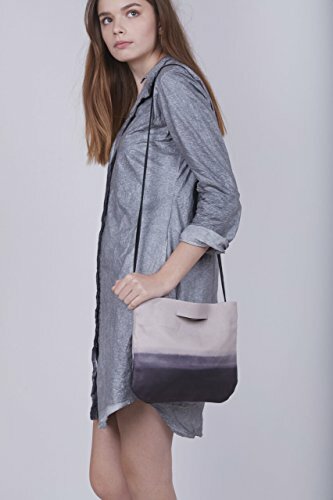 Stylish and super chic, this purse has a grey to black gradient effect that makes it super special! A great day-to-night bag, with a versatile and minimalist silhouette, this ombre clutch is unlike any other. Crafted from Nappa calf leather and hand dyed in a unique technique in our studio. Can be worn on your shoulder, as a crossbody, carried in your hand, or tuck under your arm. High quality leather backpack handmade from start to finish in my studio. * Nappa leather - extra soft and high quality leather with a silky touch and look. If you have any questions about this product by Lady Bird Bags, contact us by completing and submitting the form below. If you are looking for a specif part number, please include it with your message.